There is a growing demand for quality criteria for research datasets stored, managed and shared in reliable and trustworthy way. 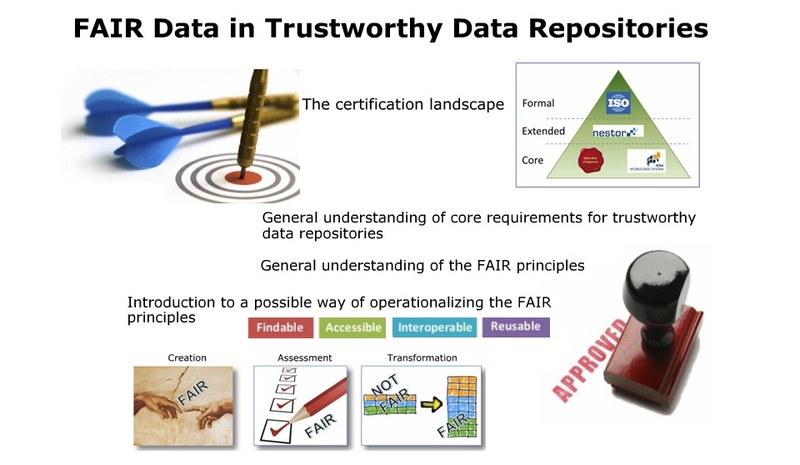 The FAIR Data in Trustworthy Data Repositories Webinar - held on 12-13 December, 2016 - shed light on FAIR principles, Trustworthy Digital Repositories and a possible way of operationalizing the FAIR principles. During the webinar, Dr Peter Doorn (from Data Archiving and Networked Services: DANS) and Dr Ingrid Dillo (DANS) presented and compared the two sets of principles and discussed their tangible operationalization. 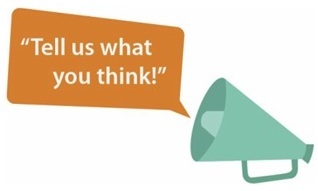 The presenters would highly appreciate feedback from the audience on the ideas regarding matching between FAIR principles and Trustworthy Digital Repositories. The Webinar was co-organised by DANS, EUDAT and OpenAIRE. Many might have a question: Everybody wants to play FAIR research, but how do we put the principles into practice? There is a growing demand for quality criteria for research datasets. A number of approaches and recommendation to tackling this issue are proposed by DSA (Data Seal of Approval for data repositories) and FAIR (Findable, Accessible, Interoperable and Reusable) principles. These two recommendations do not make value judgements about the content of datasets, but rather qualify the fitness for data reuse in an impartial and measurable way. By bringing the ideas of the DSA and FAIR together - that get as close as possible to giving quality criteria for research data - you will be also able to perform an operationalization of DSA & FAIR principles in any certified Trustworthy Digital Repository. In 2014 the FAIR Guiding Principles were formulated. The well-chosen FAIR acronym is highly attractive: it is one of these ideas that almost automatically get stuck in your mind once you have heard it. In a relatively short term, the FAIR data principles have been adopted by many stakeholder groups, including research funders. are identified in a unique and persistent way so that they can be referred to. Essentially, the DSA presents quality criteria for digital repositories, whereas the FAIR principles target individual datasets. 1. DANS Services that promotes sustained access to digital research data. DANS developed the DSA (Data Seal of Approval for data repositories). At the moment over 60 seals acquired around the globe, but with the focus on Europe. 2. NARCIS - National Academic Research and Collaborations Information System. The metadata of the publications and datasets within NARCIS, such as title or author's name, can be reused in other services (18 services currently harvest the aggregated publications within NARCIS). 3. DANS EASY portal where research data can be deposited, searched and retrieved. The EASY digital archive is assessed by NESTOR Seal 2016 and the DSA (Data Seal of Approval for data repositories). 4. The Trusted Repositories Audit & Certification: Criteria and Checklist (TRAC) evaluation tool. 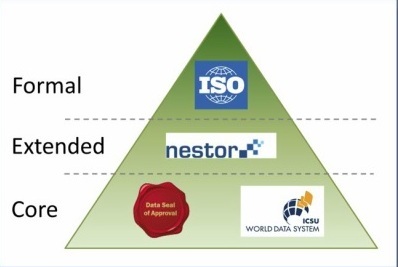 On top of the core/basic certification provided by the Data Seal of Approval/DSA (that is easy to assess repositories) and ISCU World Data System/WDS, the NESTOR seal grants an extended certification. While the NESTOR seal can be obtained as a standalone solution, it also fits into the European Framework for Audit and Certification. On the top of the NESTOR there is a formal audit and certification provided by ISO. # ISO [that is much deeper than DSA, WDS and NESTOR] requires compliance with numerous regulatory and legal requirements as well as periodic re-assessment audits to confirm that the organization/service remains in compliance with all requirements of the standard. Additional information and applicant feed-back (with 2 requirements). All requirements are accompanied by text, thus providing context with a lot of additional information useful for assessment of digital repositories. On the 24 November, 2016, WDS And DSA announced Unified Requirements for Core Certification of Trustworthy Data Repositories developed through the RDA DSA–WDS Partnership Working Group. This also means that common procedures for assessment will be supported by shared testbed for assessment. DSA and FAIR principles: what matches? The FAIR Guiding Principles for scientific data management and stewardship are clearly described by an article published (2016) on the SCIENTIC DATA portal. the description of essential, recommended, and optional metadata elements should be machine processable and verifiable, use should be easy and data should be citable to sustain data sharing and recognize the value of data. FAIR Principles are also supported and promoted by HORIZON 2020 Programme, in particular, by the Guidelines on FAIR Data Management in Horizon 2020 including 16 + 23 = 39 questions for assessment!.. operationalize the principles, which are easily implementable in any trustworthy digital repository (TDR). 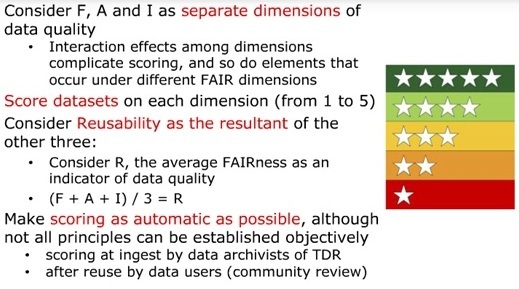 The core DSA certification requirements and the FAIR principles form a perfect couple for quality assessment of research data and TDR. Scoring mechanism should be as automatic as possible. Ideally: all certified trustworthy repositories should contain FAIR data. 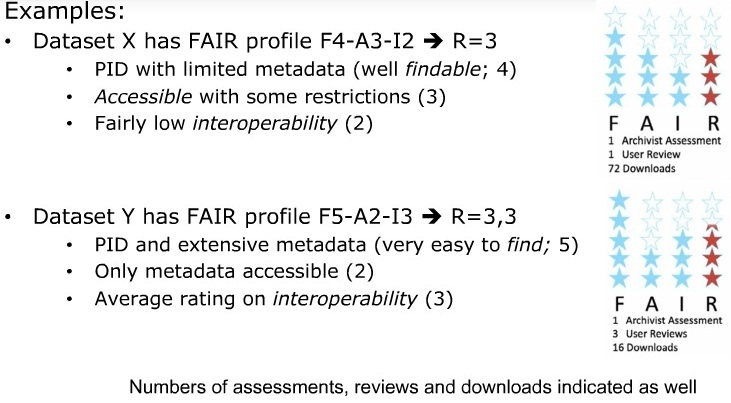 But: the FAIR scoring mechanism is applicable in any repository. All in all: we need quick and effective methods to access quality of data and repositories. · the slides presented in the webinar: click here to view the presentation. · the recording of the webinar: click here to view the video. · the chat log (in case you would like to consult some of the links shared during the webinar): click here to browse the document.